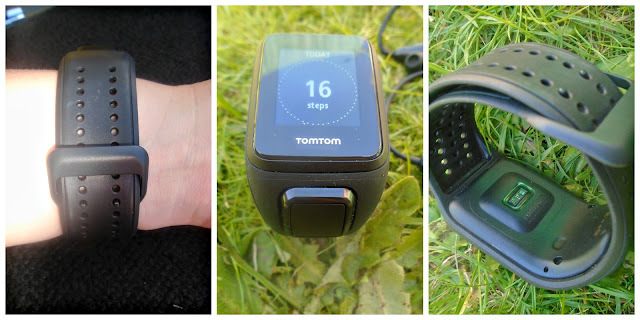 You may have noticed I have been posting about trying to lose weight recently and become over all more healthy, so when the lovely people over at TomTom offered me one of their TomTom Spark fitness watches I was so excited to give it a try. I have seen a few of these fitness watches in the market and had been thinking of giving one a try in a hope it would help me keep motivated and that is exactly what the TomTom Spark Cardio + Music does! I have been using the watch for a few weeks now both on the school run and during exercise sessions and even swimming with my little girl. It has been great to be able to physically see how many steps I have been doing and even checking on my heart rate during exercise taking all the guess work out of exercise, enabling me to keep track of exactly how I am doing rather than just the weight on the scales! The TomTom Spark Cardio + Music watch is a GPS fitness watch that not only enables you to track all your exercise but listen to music wirelessly whilst you do so! 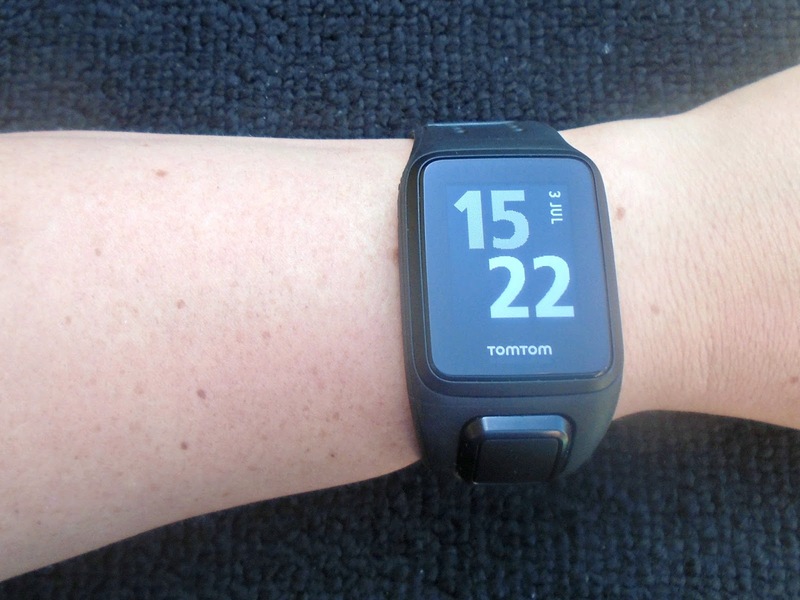 The watch features a unique combination of an integrated music player, built in heart rate monitor, 24/7 activity tracker, multi sports mode including walking, running and swimming and the GPS in the TomTom Spark makes it easier than ever to track progress and improve overall fitness levels. I was a little worried about how the watch would fit as I have quite small wrists and struggle to find a normal watch that fits comfortably, however the TomTom Spark watch strap is made from rubber which enables it to fit comfortably around your wrist, offering flexibility and making it comfortable to wear day to day. The new and improved sleeker, slimmer design also means it isn't too bulky and easy to wear for long periods of time without being in the way. The TomTom spark comes pre-loaded with some fantastic running tracks from The Ministry of Sound however with 3GB (around 500 songs) of music storage available there is plenty of room for you to add your own music. I found the whole process of doing so really quick and easy. The in depth instruction booklet you get with the watch explains how to do this. The display on the TomTom spark is a large LCD display which is controlled by a large 4 way button beneath, If you are anything like me you will try and use it as a touch screen at least once since we are all so used to everything being touch screen now. I actually like the button over a touch screen as it means you don't accidentally "touch" the screen and change something. The directional 4 way button makes navigating the watch easy and once you have scrolled through a few times you get used to wear all the functions and the layout of the watch. When you are not actively using the watch it displays a large clear 24 hour clock making it a functional watch day to day when you are not using it in the gym etc whilst it still records steps etc. Another great feature on the TomTom Spark is the built in heart monitor meaning their is no need for extra bulky or fiddly heart rate monitoring equipment as it can all be done via your watch, although this feature does not work when using the watch for swimming. The watch can however be used up to a depth of 40m in water! The App used with the TomTom spark watch is the TomTom MySports app which can be found in the app store. It clearly displays all of your data making it easy to read and see how you have done. The app stores your data too so you can go back and check previous days when needed. The app does seem to update quite often which isn't an issue but make sure you do these updates to keep up to date with the latest updates for your watch and info. 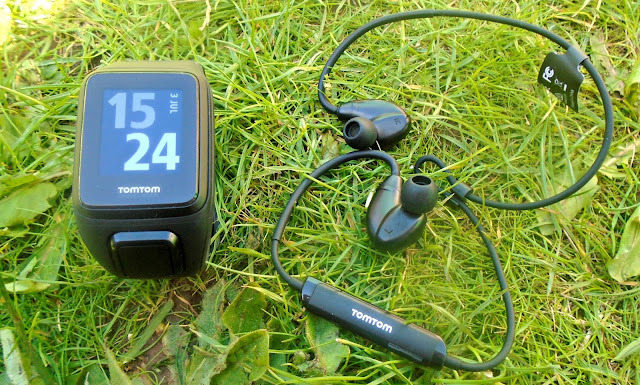 The current price of the TomTom Spark Cardio + Music is £189.99 and if you order before the 19/08/2016 you can claim your free TomTom Bluetooth headphones when you purchase a TomTom Spark or TomTom Runner 2 music edition. The headphones are usually priced at £49.99 so this is a fab saving if you are thinking of purchasing one! You can check out the watch in more detail or view more from the TomTom range via their website which can be found here - www.tomtom.com/en_gb.